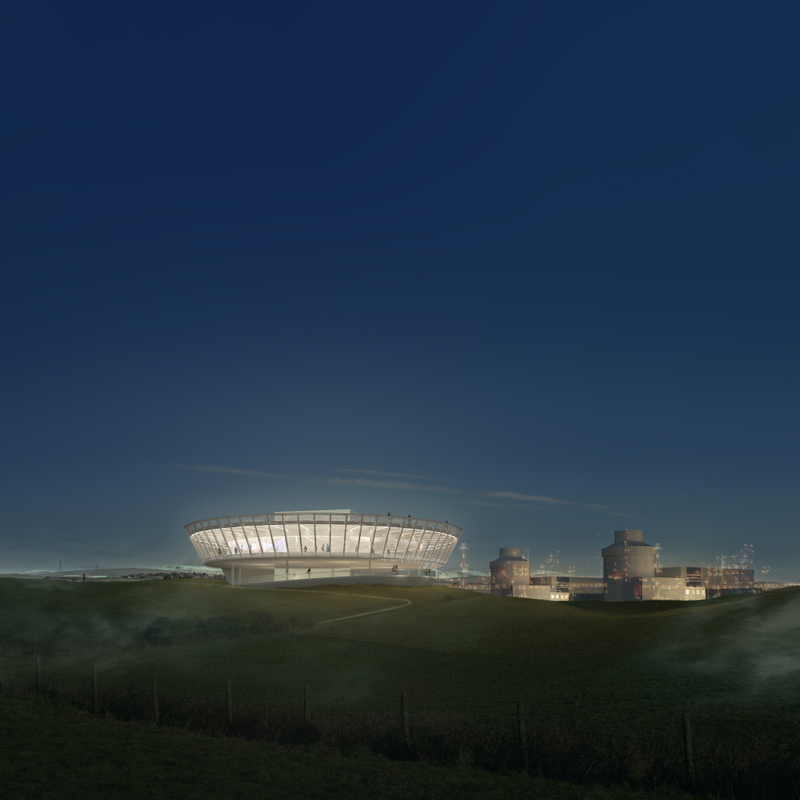 The idea was to find some of the best design thinking in the world to influence the Moorside Project – a new nuclear power station and a railway at Moorside, in Cumbria. The wider project, which begins to focus on this competition, includes some additional developments including worker accommodation at the Mirehouse site in Whitehaven and on other sites, all within West Cumbria. The competition brief requested design ideas for a visitor’s centre and office building at the Moorside site and typical accommodation masterplan for the Mirehouse site. Following a selection process Reiach and Hall are delighted to be included on a shortlist of six architectural finalists. 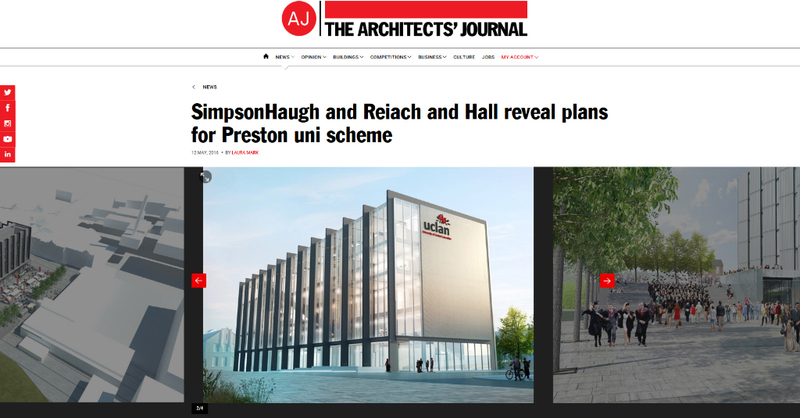 Alongside Simpson Haugh Architects, we have revealed images of our work at the University of Central Lancashire in Preston. 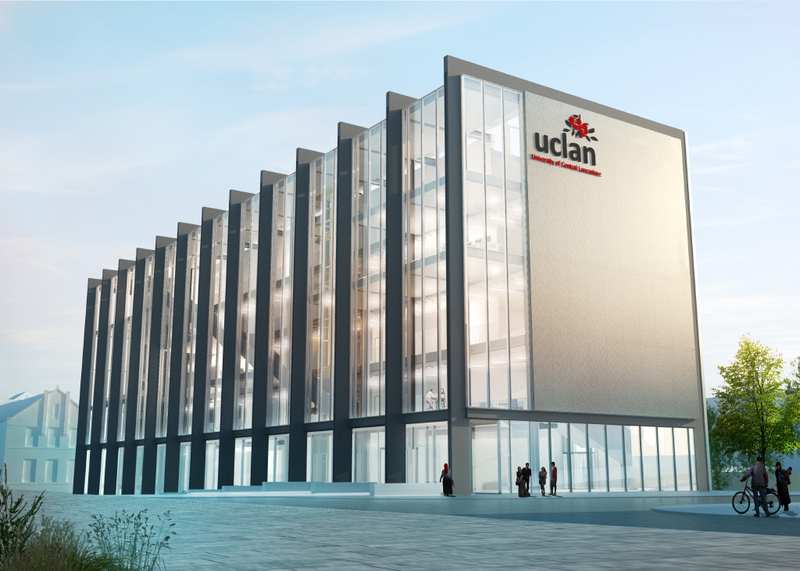 Currently submitted for planning, the new £30 million engineering innovation centre will be the first building in the campus’ Allies and Morrison-design masterplan. Arranged in two blocks, the plans feature a single-sided atrium which opens out onto a new civic square. The scheme is set to start on site later this year and is expected to complete in 2018. 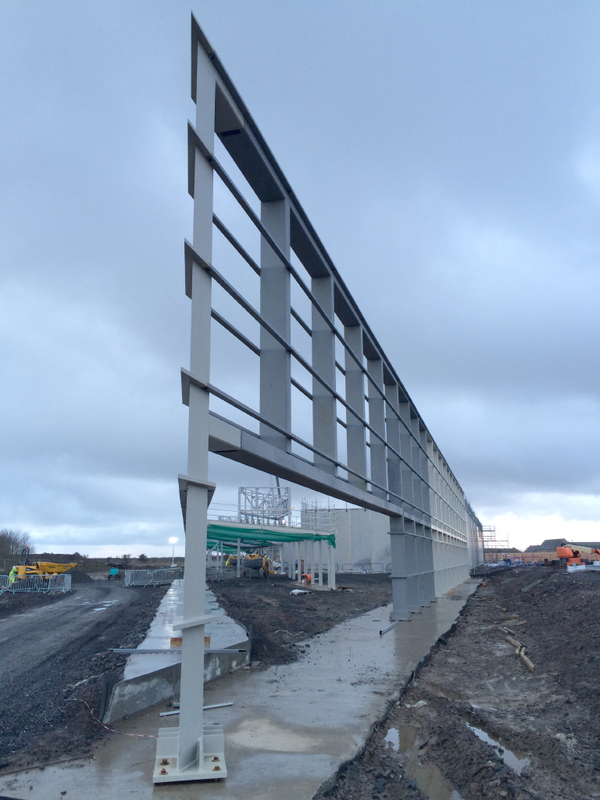 Works on site at Inverclyde are progressing swiftly with the structural frame now largely complete, floor slabs being cast and tertiary steelwork being installed to support the external envelope’s cladding. The building’s scale and proportions sit very comfortably within the landscape and the views afforded by the residential accommodation are breathtaking. The form of the ribbon façade has quite an impact on arrival and responds directly to the existing trees. This will provide the centre’s new identity and active frontage once complete. Reiach and Hall’s Design Director, Neil Gillespie OBE RSA, presents with guest Tony Fretton on ideas of HOME as part of the 190th Annual Royal Scottish Academy Annual Exhibition. This year’s curated aspect explores ideas and work about what HOME might mean, from twelve distinguished architect Academicians and their guests, including prominent Scottish and international architects. Everyone should have a home, and everyone should have some ideas about how they ideally would like to live. HOME has been curated by the exhibition convenor, Robin Webster RSA, and presents innovative houses which have been completed and working ideas for, as yet, unrealised projects. HOME is part of the Scottish Government’s Year of Innovation, Architecture and Design. 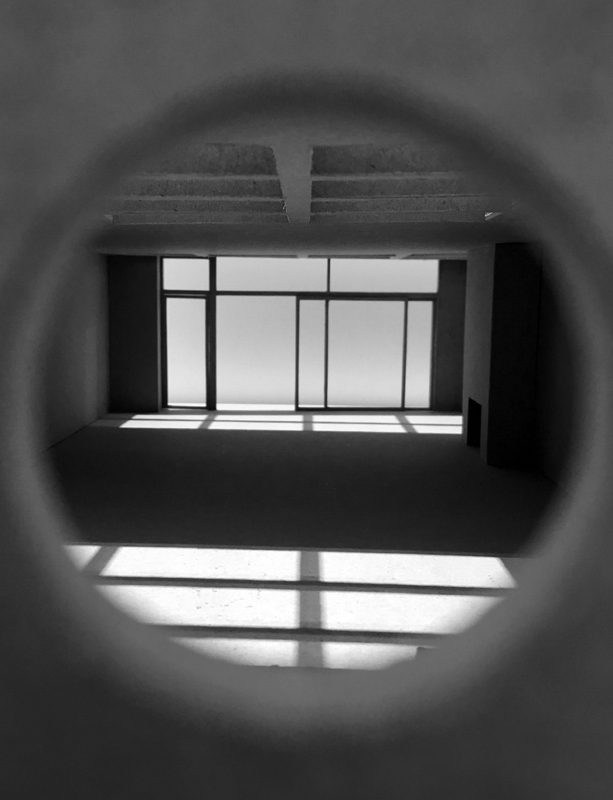 Join Neil Gillespie RSA and Tony Fretton on May 10th at the National Museum of Scotland as they discuss Abstraction and Familiarity as part of the Architects’ Conversations series. "In its purest form Modernism proposed an abstract architecture for emerging mass democratic society that was free of the class distinctions embedded in the preceding Beaux Arts Classicism. However narratives were always present, from the proposition of classless itself to the sophisticatedly embedded stories of the route from Paris into the heart of the Villa Savoye. By the 1950s the Smithsons were consciously embodying narratives of popular culture and cultural history into their work, while Venturi was using those narratives to reject modernism’s social basis and make an architecture of gesture and commodification, that ultimately lead to debilitating eclecticism. 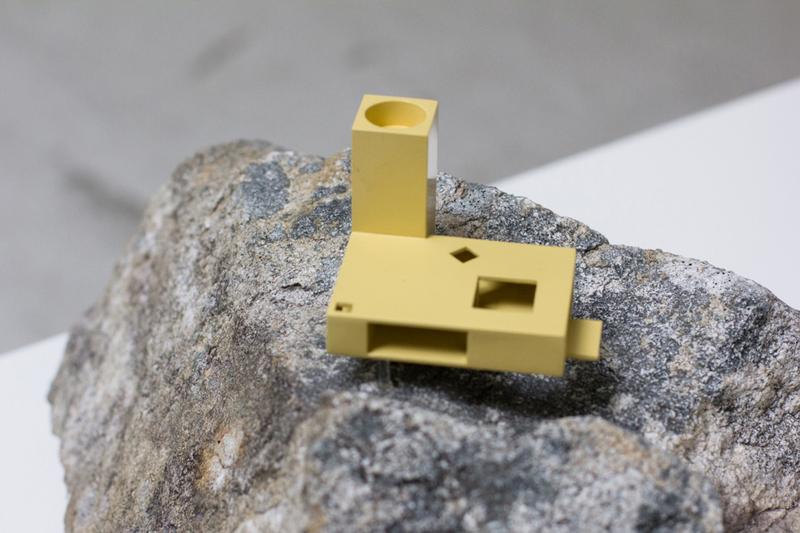 In my practice I advocate that abstraction is necessary in order to reconnect with the social aims of modernism. At the same time I aim for familiarity. The resolution will be the subject of the discussion with my valued colleague Neil Gillespie." 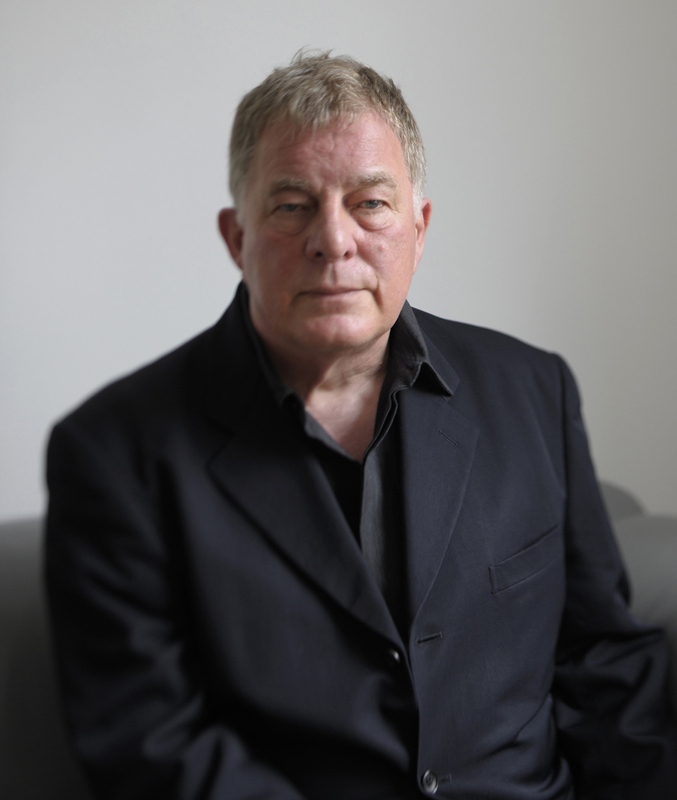 Tony Fretton is Principal of Tony Fretton Architects and Emeritus Professor at TU Delft. 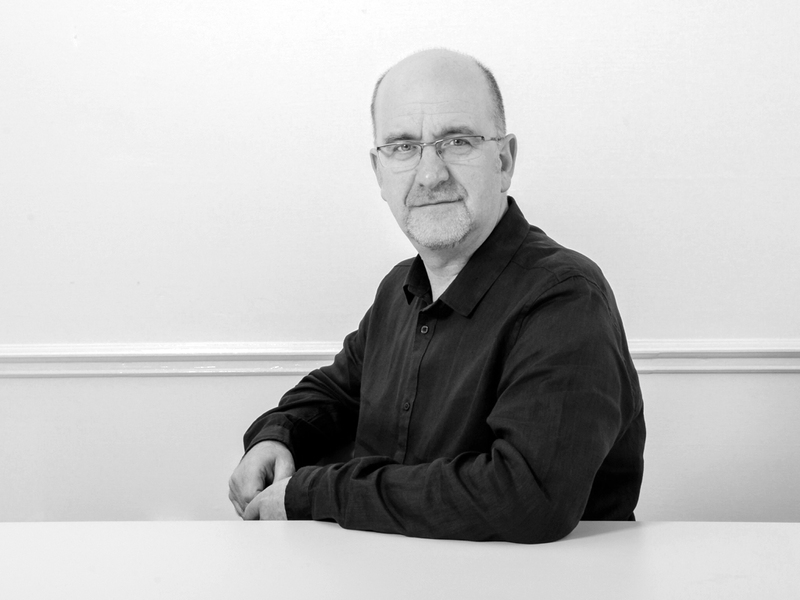 Neil Gillespie OBE is Design Director of Reiach and Hall Architects and Visiting Professor at Scott Sutherland School of Architecture, Aberdeen. Our work for NHS Lanarkshire has been nominated as a finalist in this year’s Scottish Design Awards’ Health Building or Project Category. In 2011 NHS Lanarkshire commissioned three new purpose built Health Centres in East Kilbride, Wishaw and Kilsyth to replace existing Health Centres that had been built in the 1970s. The new facilities significantly increase the level of state-of-the-art services available to patients within the Lanarkshire area. Each new building incorporates a GP surgery and community healthcare facilities - Wishaw, the largest, also incorporates a library, housing office and council service desk. The key ambition for this project as a whole is that although the health centres are very different from each other in scale and siting, they should be seen as a family of buildings with common themes and aspirations. Winners of the 2016 Awards will be revealed at the annual Awards Bash in May. 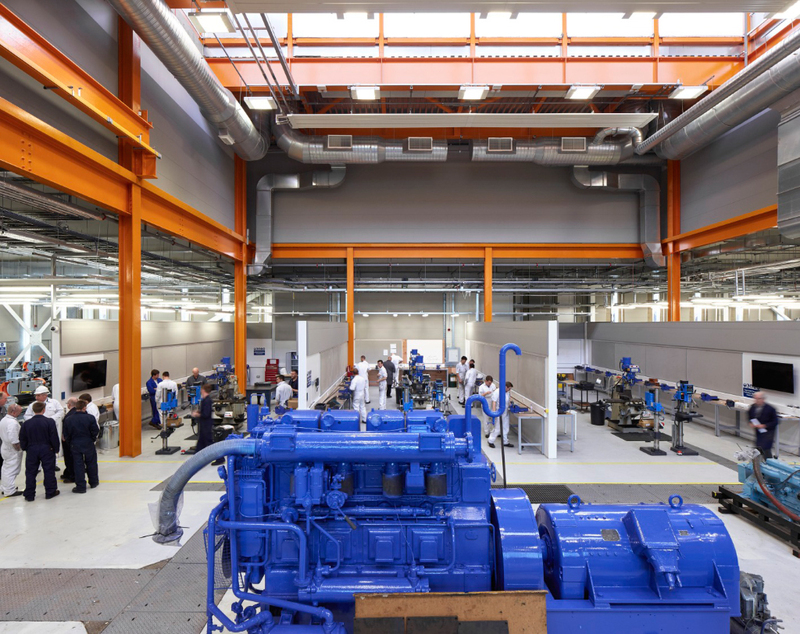 “This planning application sets out the University’s ambitious and exciting vision to boost levels of innovation through increased knowledge and industry partnerships, both nationally and internationally." 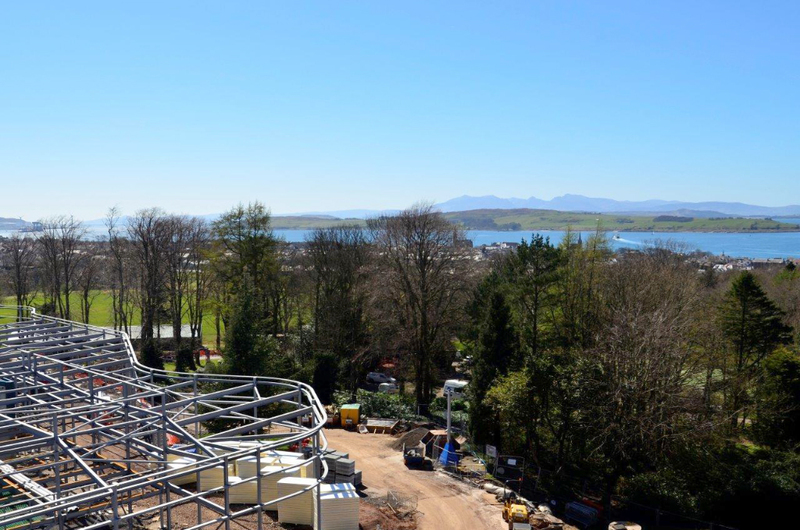 Reiach and Hall are working alongside SimpsonHaugh & Partners on this project. Reiach and Hall are delighted that our East Kilbride Health Centre for NHS Lanarkshire has been shortlisted for this year’s RIAS Awards. The Royal Incorporation of Architects in Scotland (RIAS) has announced a 23 project shortlist for its 2016 awards. The judging panel for this year, chaired by Willie Watt PRIAS, includes Denise Bennetts FRIAS (representing the Royal Institute of British Architects), Alan Jones PPRSUA Hon FRIAS, Andy Leitch (Forestry Commission Scotland) and Stuart McKill (Saint-Gobain). 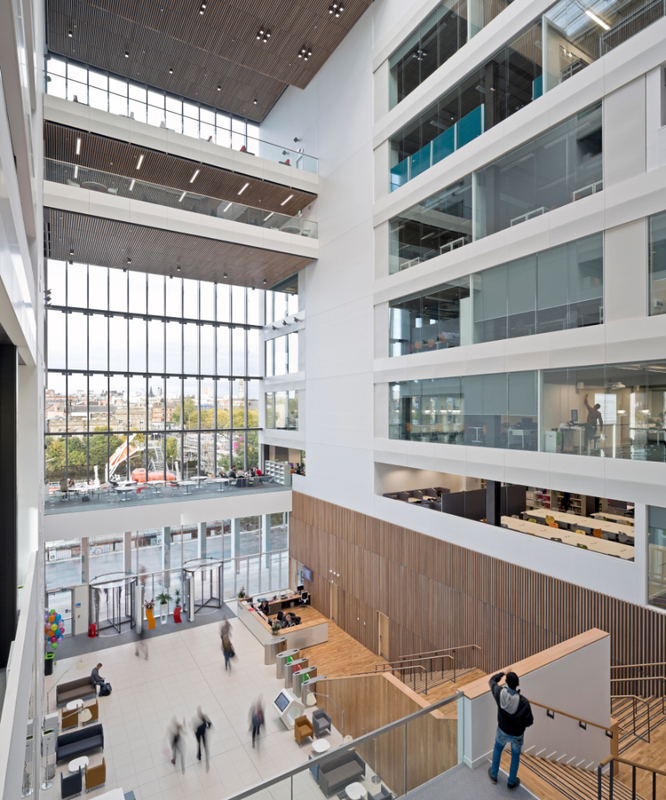 The City of Glasgow College Riverside Campus has been recognised in the third annual Scottish Property Awards – receiving the Architectural Excellence Award. The Scottish Property Awards is an independent program which celebrates excellence in commercial property, and this year they revealed 18 winners across 16 categories, with winners spanning the country. 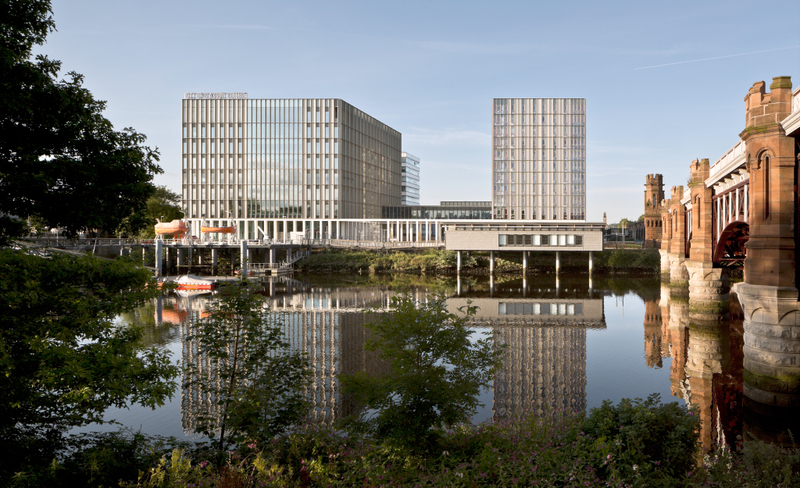 The City of Glasgow College Riverside Campus was completed in a joint venture between Michael Laird Architects and Reiach and Hall Architects. A list of the 500 most influential and inspiring people in Britain has been revealed, including our very own Design Director, Neil Gillespie. "The Debrett's 500 focuses on individuals who demonstrate outstanding qualities of influence, achievement and inspiration. It's a fascinating and eclectic showcase of talent celebrating the best of British throughout a number of areas, from film to fashion, and from politics to sport." Neil shares the ‘Architecture and Design’ section with David Adjaye, Simon Allford, Sir David Chipperfield, Dame Zaha Hadid, Thomas Heatherwick, Sir Jonathan Ive, Lord Rodgers, Adam Caruso and Peter St John and Eric Parry, to name a few. With the formation of the archives completed, the construction of the steel frame has begun, making significant progress over December and January. The frame is primarily located on the south and east elevations, providing the basis for the staff and public spaces. With this essential structure taking shape, the prism of the building is beginning to appear, along with the true north line that is central to the building form and landscape strategy. Another exciting development is the construction of the 8 metre high steel frame screen, shaping the first of three lochans. An opening in the screen will act as a gateway for pedestrians, bringing them to and from Ackergill Street. The NDA Archive is due for completion in August 2016, with Reiach and Hall working alongside Morrison Construction, Arup and Horner + Maclennan. Professor Neil Gillespie, OBE FRIAS RSA, was invited to speak at the RIAS Centenary Convention 2016. The event, held over a day and a half, was entitled “World Greats and Great Scots” and was hosted by RIAS President, Willie Watt – sparking discussion and debate on architecture from both Scotland and abroad. Delegates heard inspiring voices, not only from Scotland, but from Spain (including Benedetta Tabliabue and Rafael Moneo), Paris and London. Karen Cunningham, curator of the Festival of Architecture 2016, noted that Neil’s presentation was both ‘moving and poetic’ as he attempted to outline some common threads within our practice. 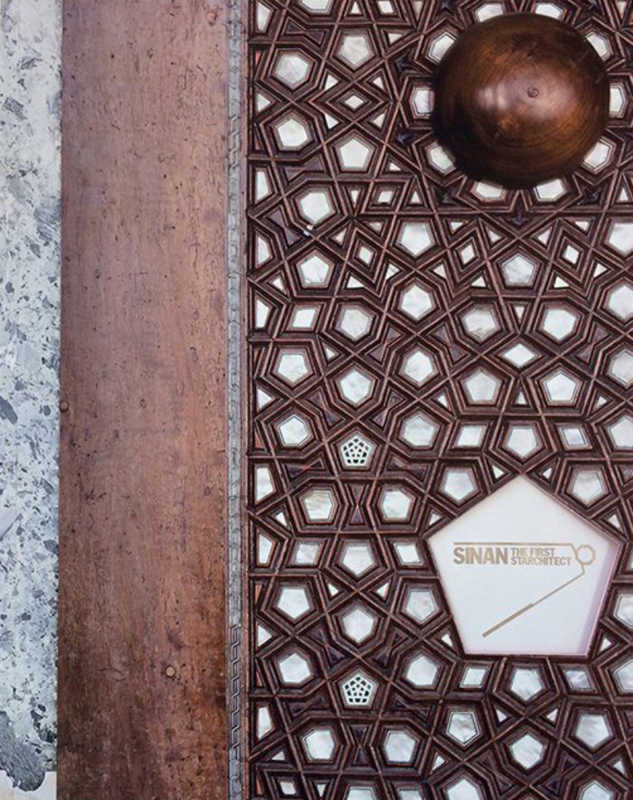 In November 2015 our design director, Neil Gillespie and associate, Laura Kinnaird, travelled to Istanbul with the Architects Journal to explore the world and work of Mimar Sinan, an architectural champion of the Ottoman Empire. This research project allowed Neil and Laura the opportunity to immerse themselves in Sinan’s masterpieces throughout Istanbul and on return to the UK present research for a publication by Turkish Ceramics and the Architects Journal. The launch of the book SINAN: the First Starchitect took place in late April at the Royal Academy in London. We are delighted to be part of this publication alongside some of the UK’s leading architects. 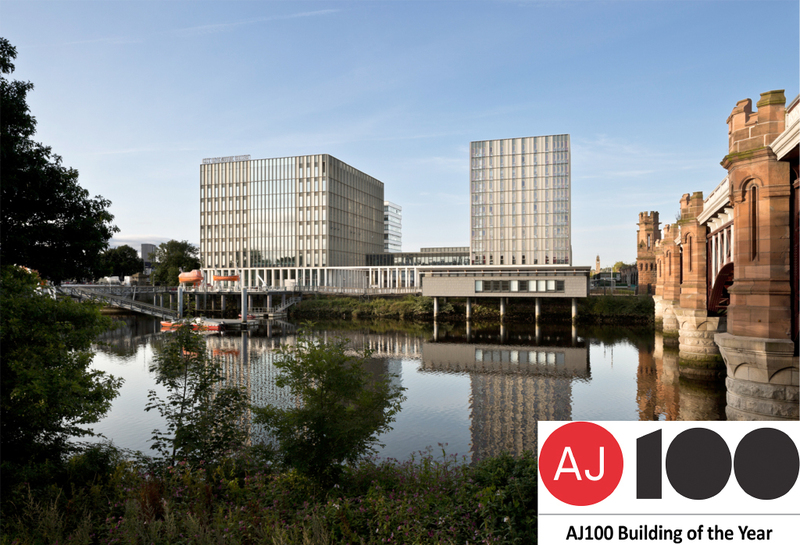 Reiach and Hall Architects are thrilled to be shortlisted for the AJ100 Awards for Building of the Year, with The City of Glasgow College – Riverside Campus. With over two-thirds of the AJ100 entrants applying for this award, we are absolutely delighted to make the final six and consider it a fantastic achievement. 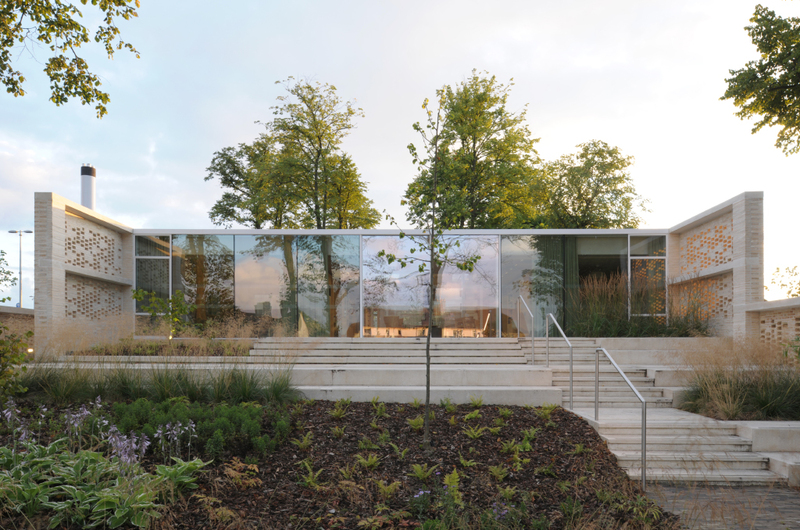 This is Reiach and Hall’s second consecutive year on this AJ shortlist; with a feature last year for the Maggie’s Cancer Caring Centre in Lanarkshire, which went on to the RIBA Stirling Prize Shortlist and the RIAS Andrew Doolan Shortlist for Best Building in Scotland. We look forward to the annual AJ100 dinner, where the winners are announced, on 8th June 2016. We are delighted to have received the RICS award for Design Innovation at the annual RICS Awards in Scotland. The Awards showcase the most inspirational initiatives and developments in land, property, construction and environment. We are delighted that our progress for ORIAM has been recognised in this year’s Scottish Design Awards, in the Future Building Category - designed to reward buildings that are under construction but not yet complete. 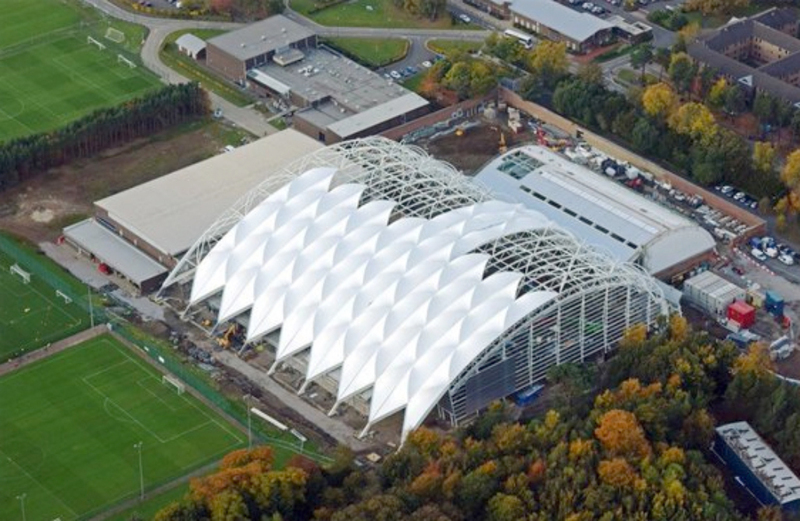 ORIAM, which is due for completion later this year, has been designed for sportscotland, Heriot-Watt University and the City of Edinburgh Council, with the ambition to provide Scotland’s top sportspeople with the facilities, access and support services pivotal for international success. The centre will comprise a full size indoor synthetic pitch, full size outdoor synthetic pitch, nine court sports hall, five outdoor grass football and two grass rugby pitches. It will also include a hydrotherapy suite, eight squash courts, two exercise studios, a four court sports hall and 60x40 indoor synthetic pitch, which can be booked as a whole or in sections. The centre will also contain world class facilities for sports science and medicine, a fitness suite, as well as conferencing, changing facilities and a café. We were excited to share the progress of this project with the judges in this category and look forward to the results being announced at the Scottish Design Awards Bash in May. 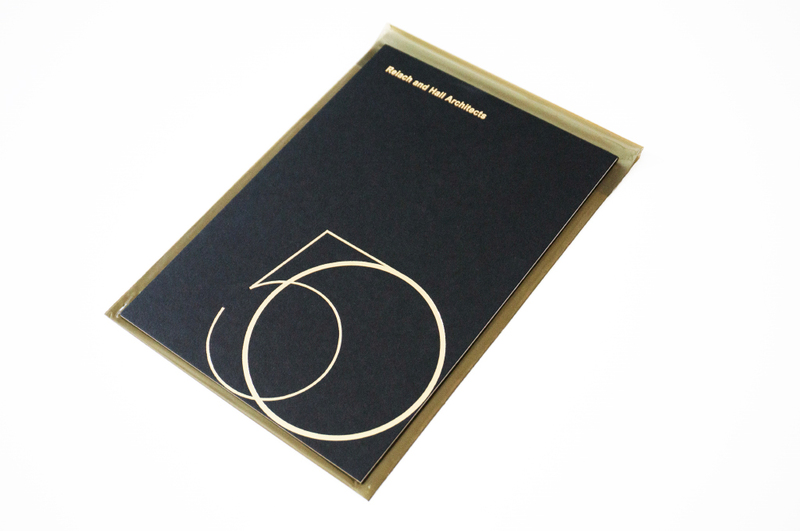 The 2016 finalists nominations for the Scottish Design Awards have been revealed, and we are chuffed to step outside our traditional architecture sector and be part of the design categories with Reiach and Hall’s 50th anniversary invitation, which has been nominated in the Direct Mail category. The awards celebrate Scotland’s finest design and architectural agencies and now in its 19th year it shows no exception. This year's nominees were chosen by an expert panel including Sophie Lutman, creative director, BrandPie, Martin Muir, creative director, Start Judge Gill, Heinz Richardson, board director, Jestico + Whiles and Penny Lewis, lecturer in History and Theory, Scott Sutherland School of Architecture and the Built Environment. The winners will be announced at the annual Scottish Design Awards bash in May. 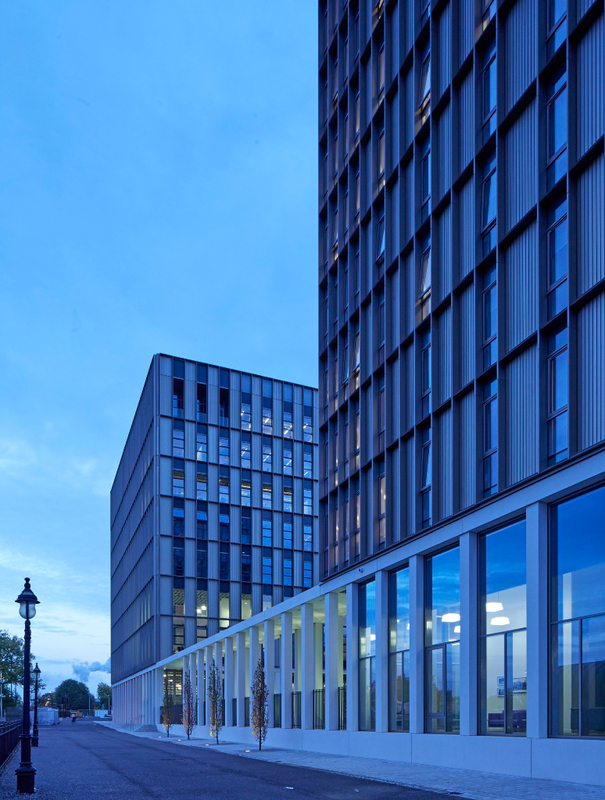 Reiach and Hall Architects and Michael Laird Architects have been shortlisted in the 2016 EAA Awards for the City of Glasgow College, Riverside Campus. The Edinburgh Architectural Association, a local chapter of the Royal Incorporation of Architects in Scotland, recognises projects designed by registered architects of the Edinburgh Chapter - The Ambassador Award is a special category which allows projects to enter which are not located within the chapter area. The results will be announced at the Edinburgh Centre for Carbon Innovation in May following an exhibition showcasing the shortlisted entries at the RIAS from mid-April. As we move closer to construction completion, the internal construction is continuing at a rapid pace with solid and glazed partitioning now in place. This, alongside the installation of light baffles to the central arcade roof, has allowed for the qualities of light within the space to be expressed clearly for the first time. The mechanical and electrical installation is continuing towards the commissioning phase of the project within which the pharmaceutical verification and validation of the laboratories will be carried out. Externally, scaffolding is being erected to allow the brick subcontractor to proceed with brickwork to the office bay window façade which will form the grid of brick piers and panels. The landscaping works have also commenced with the bicycle shelter now clearly legible. Finally, the internal furniture and fit out are being finalised in preparation for the handover period when SNBTS begin the move into the new National Centre. 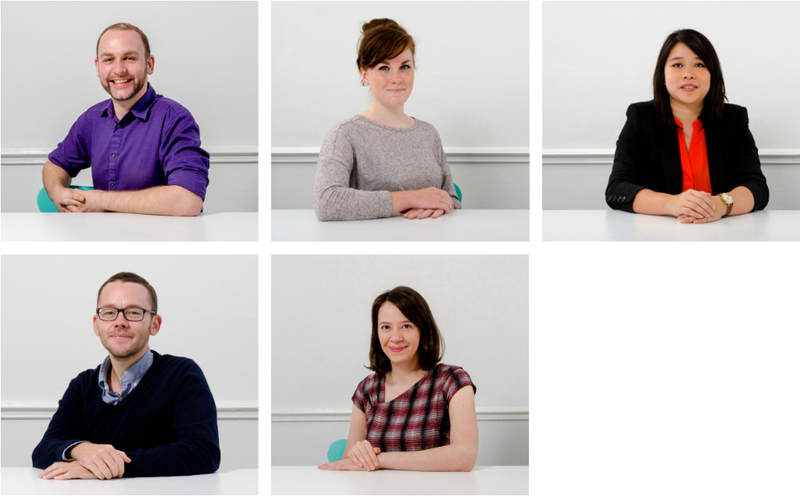 Reiach and Hall are pleased to announce that five members of staff have passed their part 3 exam. Congratulations to Sam Boyle, Eilidh Izat, Fei Low, John Robson and Christina Stuart. 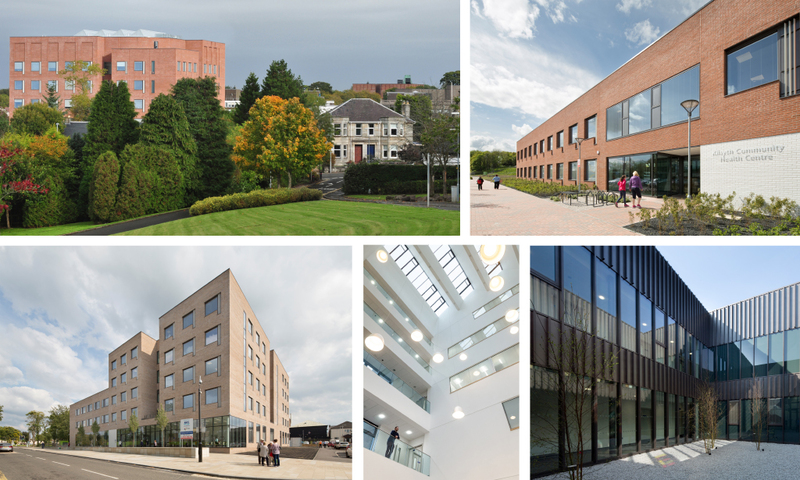 Reiach and Hall Architects have been shortlisted for Building Design's ‘Public Building Architect of the Year’. This award is open to architects working on any project of public function, including theatres, galleries, libraries, visitor centres, civic and religious buildings. Among other things, the judges will be looking for evidence of all-round design excellence and fitness for purpose over a body of work. The size of the projects featured will not be a factor in their deliberations. The winners of the awards will be announced by writer and broadcaster Stephen Fry in London on 9 March. Reiach and Hall have been ranked fourth in the Urban Realm Top 100 Architects list. Site progress has been rapid in the last few weeks with a big drive to complete the internal building packages. One of the most noticeable and uplifting changes can be seen in the arcade – the key space that mediates between the offices and laboratory areas. The long awaited light baffles are being brought into position using MEWPS and lifting blocks. Once in place their effect on the modulation of the incoming light is immediately noticeable, transforming the direct light into a more complex composition of diffused reflections and subtle grading. Direct light is also allowed to punch its way in between the fins, providing interesting accents and highlights. The large extents of glazing assists distribution of light deep into the plan while providing intriguing and unexpected reflections. 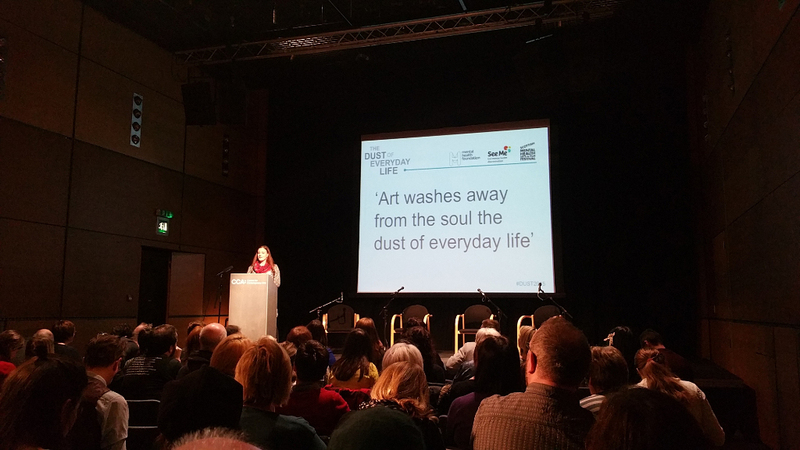 Our director Andy Law was a guest speaker at this one-day symposium on the arts, mental health, stigma and social justice – programmed by the Mental Health Foundation and See Me, it expands on the Scottish Mental Health Arts and Film Festival. The idea is to encourage discussion, debate and the exchange of ideas between people from the arts sector (artists, producers, programmers) and the mental health sector (health workers, activists, psychologists). 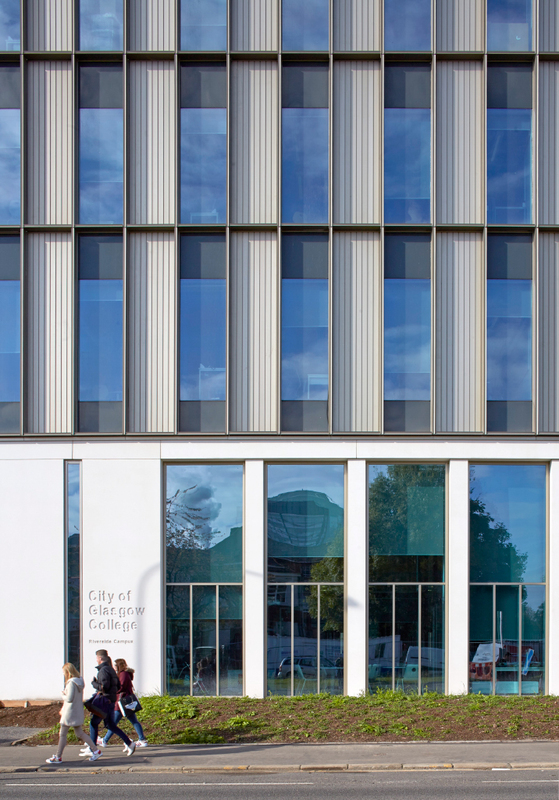 We are delighted that our work at The City of Glasgow College, Riverside Campus has been showcased on Dezeen. Dezeen is one of the world’s most popular and influential online architecture and design magazines – with the simple mission, to bring to its readership / to the public a carefully edited selection of the best architecture, design and interiors projects from around the world. 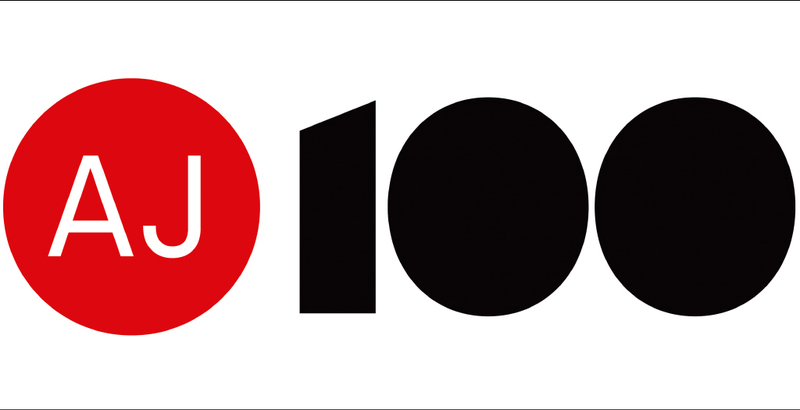 Reiach and Hall Architects have made the AJ100 list for 2016 – the list of the top 100 architectural practices in the UK as named by the Architects Journal. Reiach and Hall will find out where it is placed in this year’s list at the Annual Members Dinner and Awards to be held at the Pavilion at the Tower of London on 8th June. 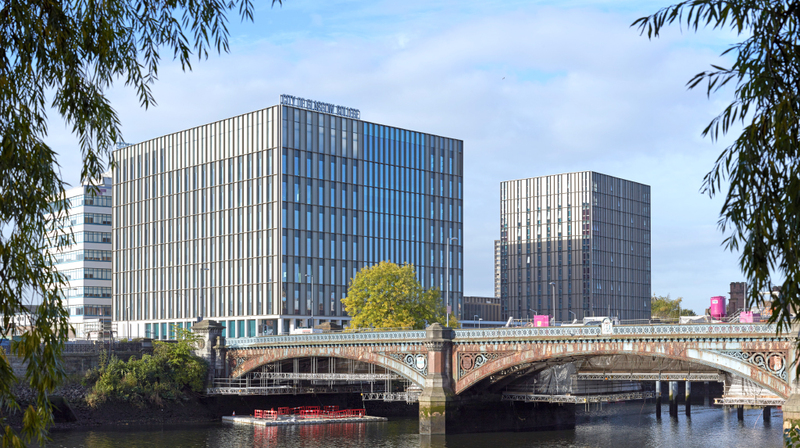 We are delighted that our City of Glasgow College Riverside Campus, which was designed in a joint venture between Michael Laird Architects and Reiach and Hall Architects, has been nominated for this year’s Scottish Design Awards. Now in their 19th year the Scottish Design Awards reward top architecture firms and design agencies for their contributions to the Scotland’s historic and contemporary design culture. The awards are open to all Scottish companies and celebrate the best design and architecture in the country. Winners of the 2016 Awards will be revealed at the annual Scottish Design Awards Bash in May. 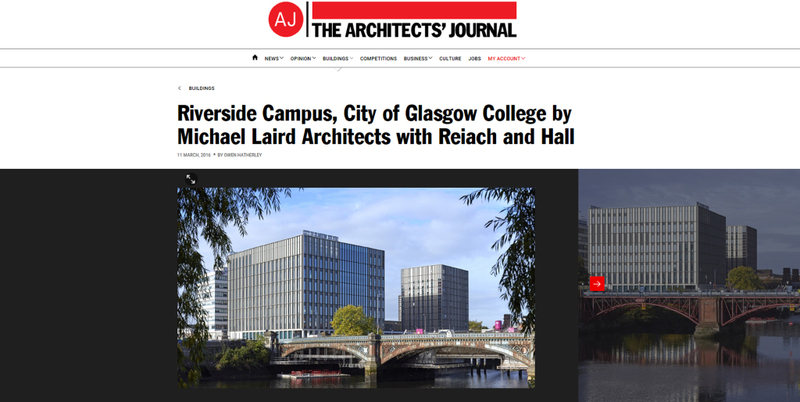 Our work at The City of Glasgow College, Riverside Campus, has been showcased as part of the Architects Journal Building Study series. The project, designed in a joint venture with Michael Laird Architects, features online with an in-depth study of the building and design approach. We are thrilled that our City of Glasgow College, Riverside Campus has been shortlisted for the 2016 RIAS Awards - The Riverside Campus was designed in a joint venture between Michael Laird Architects and Reiach and Hall Architects and is the result of a combination of ideas about the city and the student experience. 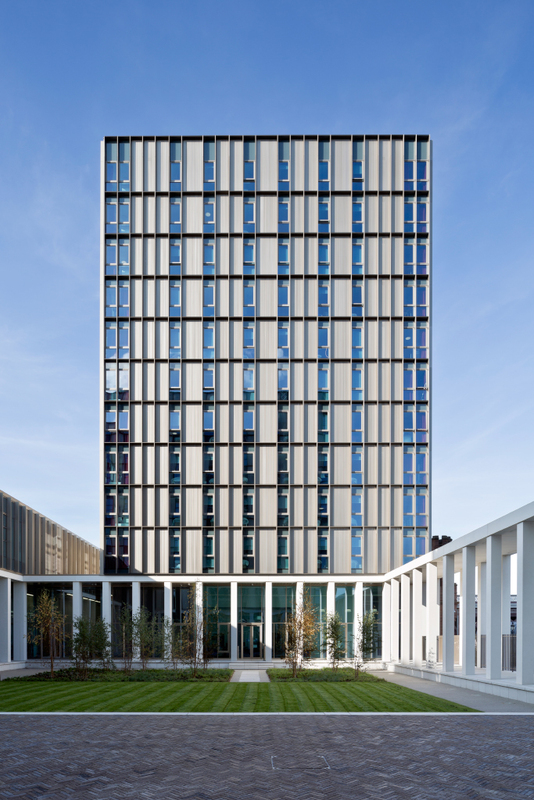 Located at the edge of a major crossing of the River Clyde, the site marks a gateway in the city and projects the College’s importance as a civic institution as well as creating a new memorable landmark on the Glasgow skyline. The RIAS judges will now tour all of the 23 shortlisted projects and the results will be announced at the annual Gala dinner in June. Reiach and Hall Architects are delighted to have been named Public Building Architect of the Year at the Building Design Architect of the Year Awards 2016. 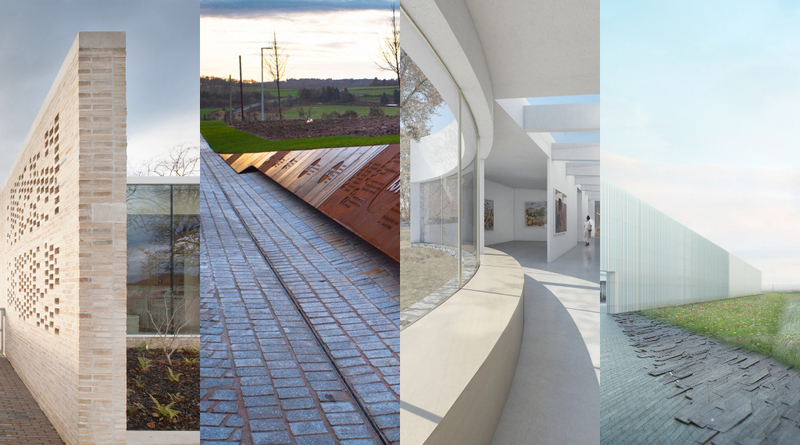 It is fantastic to see four of our leading Public Projects recognised for their architectural quality: Maggie’s Lanarkshire, The Battle of Bannockburn Visitor Centre, Kilmartin Museum and the National Decommission Archive in Wick. Stephen Fry may have put it best in his introductions on the evening, when describing architecture as a “glorious calling” as he thanked architects for their work in shaping a better world. 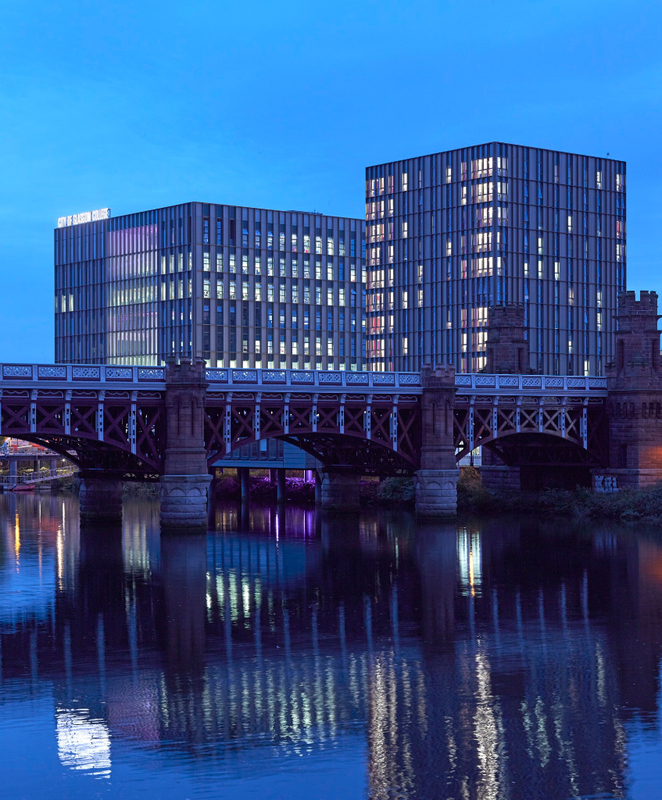 Reiach and Hall Architects welcomed friends, colleagues and clients to an evening Launch Event at the newly completed Riverside Campus at City of Glasgow College. 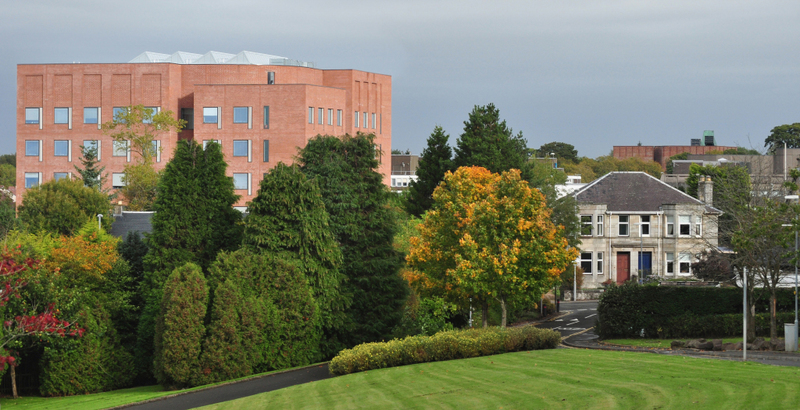 Designed as a joint venture between Michael Laird Architects and Reiach and Hall Architects the Riverside Campus contains the Faculty of Nautical Studies and the Faculty of Building, Engineering and Energy – part of the specialist facilities include a working ship's engine room, cross-discipline project bases to encourage blended learning, an innovative multi discipline engineering hall and a ship's bridge simulation suite, alongside more generic teaching, learning/support spaces. The evening (hosted by Reiach and Hall, Michael Laird Architects and Graven) was a great success and guests were able to tour the new building's specialist facilities, as well as relax in the main atrium space. 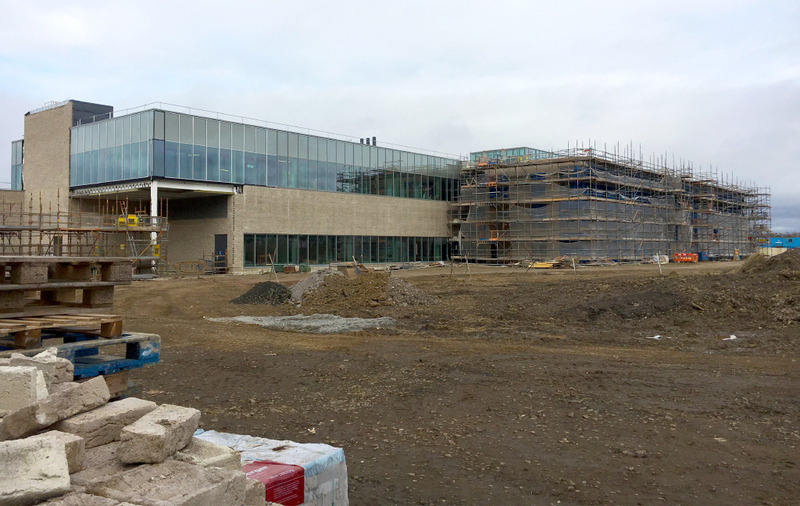 The west façade of our City Campus for the City of Glasgow College is nearing completion. It is the last portion of the external envelope to be completed on this 59,000sqm project which is due to complete in the summer. 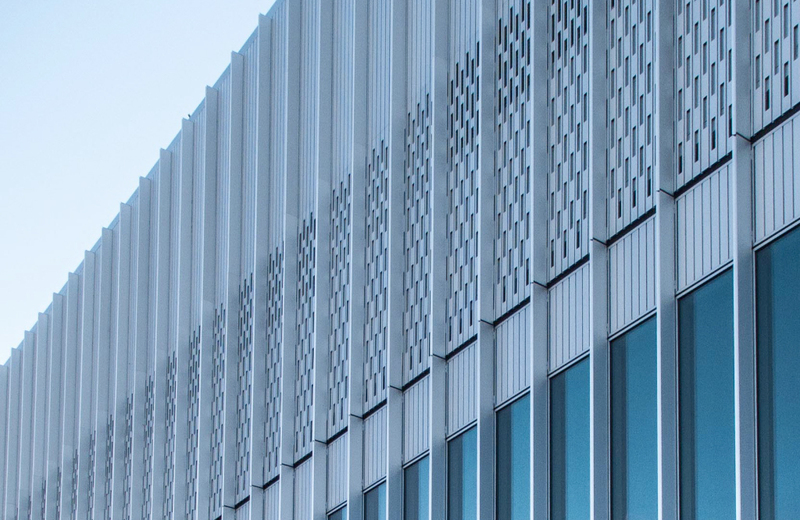 The high performance unitised curtain wall façade is finished in natural silver anodising and is a combination of glazed and highly insulated metal panels. To the south, east and west elevations the curtain wall is over clad with a cast stone brise soleil which provides passive shading to the façade and a civic presence to the city. The internal fit-out and building services installation is well underway with a significant portion of the teaching spaces virtually complete. Like our Riverside Campus, completed last summer, office and teaching accommodation is arranged around a central atrium space. 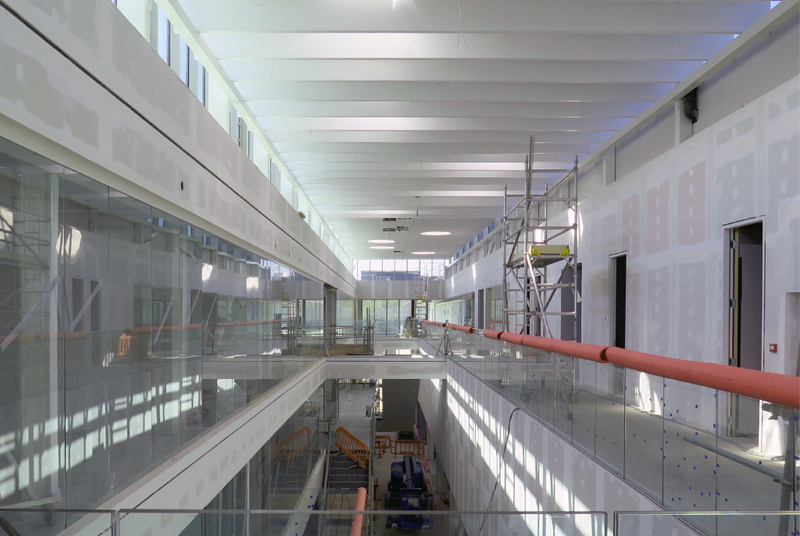 The roof light to the atrium will shortly be revealed as the scaffold is dropped in preparation for finishes installation to the lower floors.